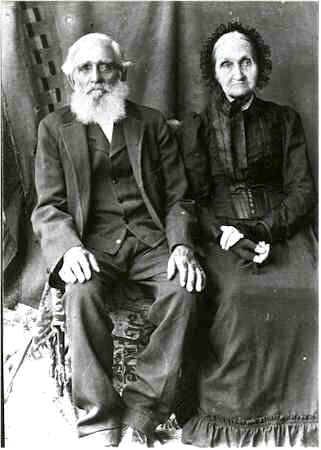 JOSEPH B. PROULX was born September 17, 1817 in Canada, and died April 06, 1901 in Clyde, Callahan, Texas. He married MARY ROSE WRIGHT July 06, 1840, daughter of LEWIS WRIGHT and SARAH JAMESON. She was born May 06, 1820 in Vermont, and died January 19, 1907 in Clyde, Callahan, Texas.